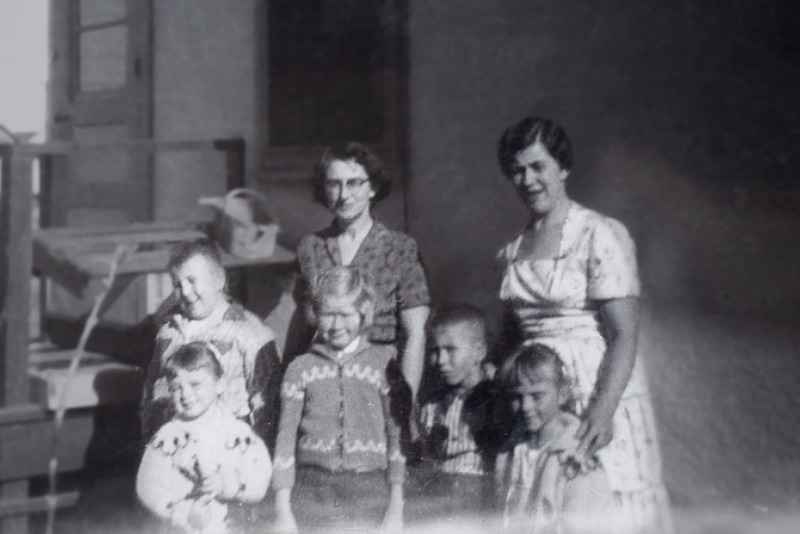 Bless Mom… she was the keeper of our memories, scrapbooks and vintage albums filled with old photos and writings. 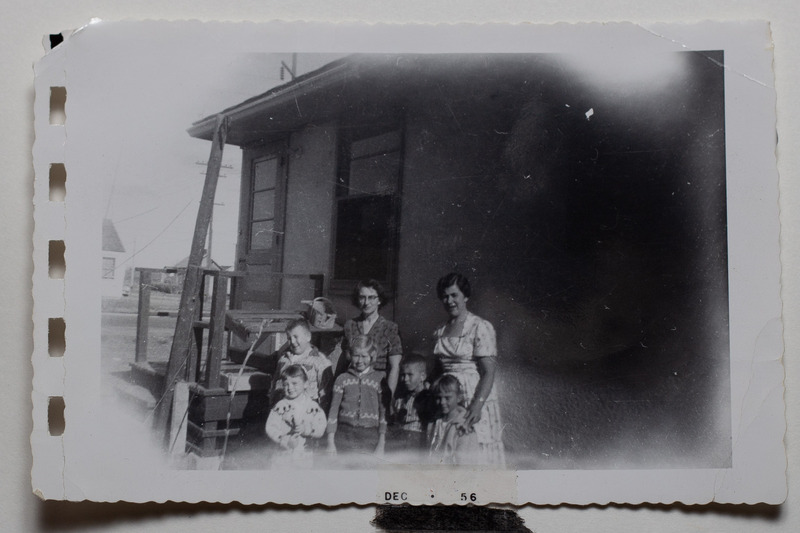 Looking through them the other day I came across this small 2″x 3″ photo of myself with my cousins. The original photo was in rough shape… but I loved it. These are my cousins Daryl, Marilyn and Howard and my sister, Patti and myself (far right). Mom is standing behind Marilyn and Auntie Margaret is standing behind me. Can’t say exactly where this was taken or when, but it was well over 60 years ago. Thanks to these old albums, I feel an excitement stirring… a new keenness surfacing. Wouldn’t it be great to restore some of these treasures, not so much for prosperity, but more for my kids and their kids. Funny… I have been hoping to find a new challenge for the new year. Perhaps it just found me!